Some children entered with leg braces and forearm crutches, and a lot of them couldn’t fully articulate how they felt. Kiersten Barton, 10, sat on her new bicycle and tears welled in her eyes. On Friday afternoon she could ride with her siblings and not depend on her father to push her. 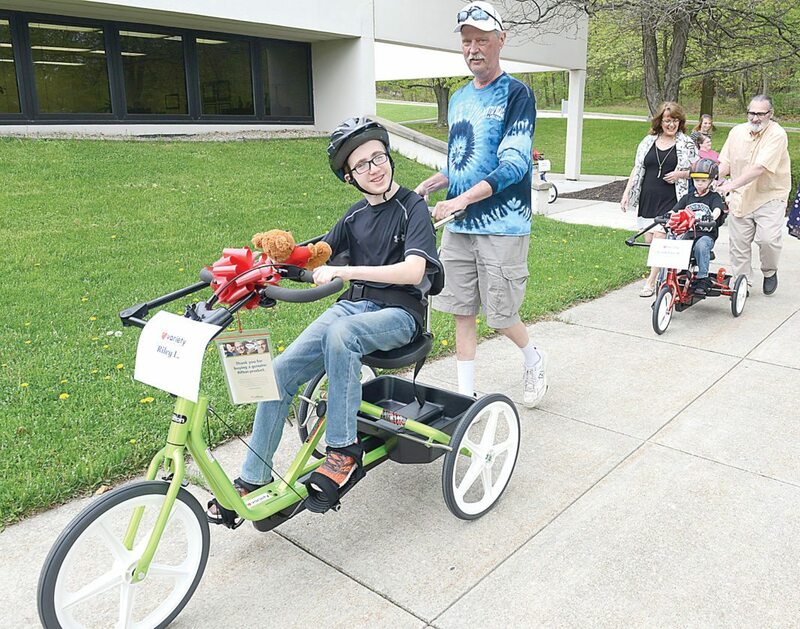 Barton of Mount Union was one of six children from the region at the Sixth Avenue office of Appalachia Intermediate Unit 8 on Friday to receive specially made adaptive bicycles as well as communication devices totaling $25,000. The equipment was provided by Variety Children’s Charity in partnership with IU 8, which represents school districts in Blair, Cambria, Somerset and Bedford counties. Organizations including area bicycle clubs donated money to purchase the adaptive bicycles. “When you see the price of what these bikes cost, it’s just out of reach for most families. 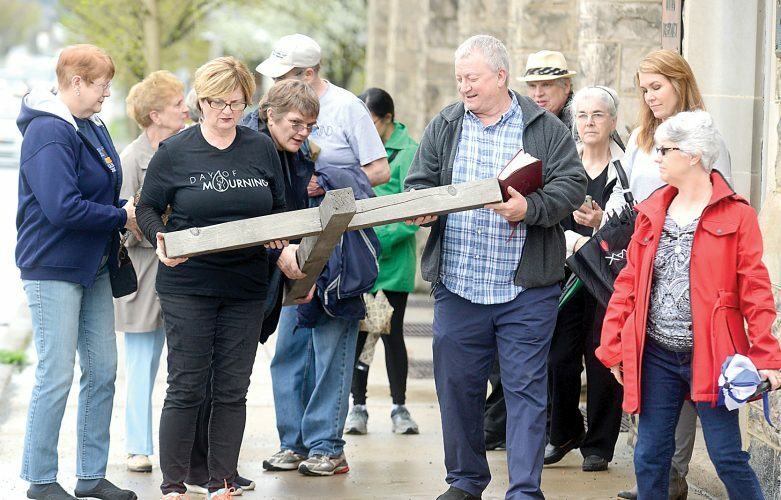 It’s a really nice gesture,” Zane Bagley of Bedford said. His grandson, Riley Layton, 15, will now be able to join the family on bicycle rides. Danielle Cauvin’s grandson, Cameron, couldn’t stop smiling and looking at the red bike that had his name on it. He has a rare genetic disease that affects muscular growth. He’s wrecked his regular bicycle with training wheels and had to go to the hospital recently, his grandmother said. But Cameron, 8, wants to ride every day, she said. The adaptive bike is more stable. “He told me, ‘You don’t have to be worried anymore, Grandma,'” Cauvin said. An adaptive stroller was given to the parents of Marshall Emery, 4, of Claysburg. “This will help him be more included with other kids,” Kristin Emery said. In recent years, Variety has provided $250,000 worth of equipment to students in the IU 8’s four counties, said IU 8 Executive Director Tom Butler.